VONDA7 landed in Berlin following a wavy voyage down from planet techno many BPMs ago. A purveyor of hypnotic grooves, she speaks in synthesised melodies and laughs in heavy basslines that wash over you like what can only be described as a seriously slick musical baptism. Her talent in the studio, vast record collection and innate ability to shake up the driest of crowds with her diverse eclectic sets is leading to international acclaim. 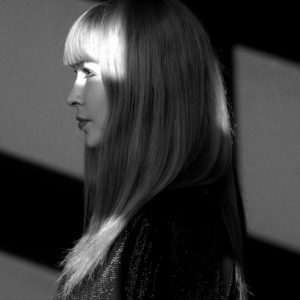 Although she has been releasing music since 2014, it was 2017 that saw her rise to prominence with debuts on Sasha’s Last Night On Earth and Dense & Pika’s Kneaded Pains marking her turf on the techno & house circuit. 2018 has been a very a prosperous year for the techno producer, with successful returns to Kneaded Pains and Last Night on Earth with her ‘Analog Heart’ and ‘Together’ EPs respectively. End of summer saw a very well-received EP on BBC Radio 1 Monki’s &friends label and soon after that VONDA7 announced the launch of her own label, art | werk records. A place where she has full creative control and plans to release diverse music ranging from techno, house to alternative pop. In a previous life, she earned her stripes interviewing DJs & producers, and shooting videos from the parties in her home town Poznan (PL). Her never-ending bond with electronic music led her straight to the front doors of the very prestigious SAE in Amsterdam, which in turn kicked off a new chapter for her within house & techno. She loves her analogue setup and combines it with digital technologies. Alien, worldly, real, imaginary, religious or atheist one thing is for certain – her dancefloor is your church and her productions are your prayers. Come, pray and get down with VONDA7.